In an area like New England, where historical architecture abounds, it's not uncommon to find homes with spaces that aren't exactly designed with modern living in mind. Take bathroom design, for example. In colonial times, bathrooms we're purely functional. There was room for a tub/shower combo, a single sink, and a toilet. But if you live in a historic home today, you may find that setup less than ideal. The good news: There are ways to make your small bathroom design more functional without knocking down walls or putting on an addition. 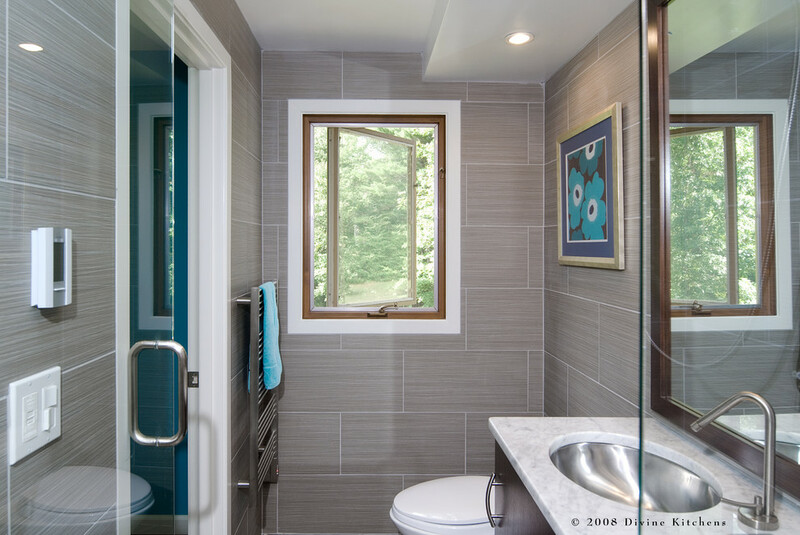 Here are a few of our favorite small bathroom design ideas from home we've worked on in the Boston area. In this contemporary bathroom design, built-in floor-to-ceiling shelving compensates for a lack of a linen closet. Streamlined materials were used in this small bathroom space to give it a larger appearance and maximize the square footage. This next bathroom was gut renovated and re-configured to optimize the layout. 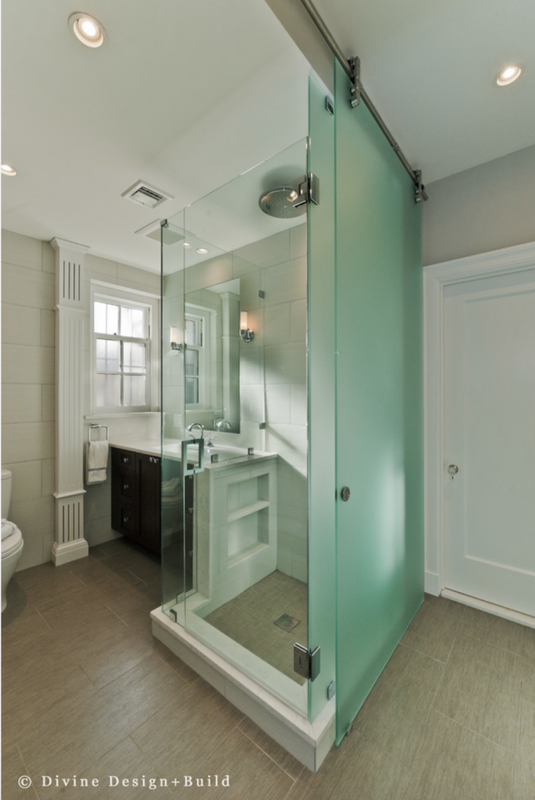 A tub was replaced with a glass-enclosed shower, which gives the entire room an airy feel despite its small size. Here, a bathroom in Boston's Beacon Hill neighborhood (notorious for its tight spaces) is planned with organization in mind. There's a wall of storage which houses the washer and dryer on one side, and even built-in toiletry storage in the shower. For more small bathroom design ideas, visit our profile on Houzz.